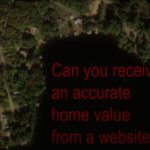 Can you receive an accurate home value from a website? Selling Adirondack Real Estate? Having a Lock-box is Key!